This is it, the final upgrade for Wave 4. Gonna have to start thinking of other things to write about after this! Lots more Rebel ships on there than the Black and Blue loving Imperials, but two of their biggest ships do have the chance to take something. Notably, the new Rebel Liberty Class gets the chance to stash away 2 turbolasers. Quad Turbolaser Cannons - 10 points - While Attacking, if at least 1 Red die face has an Accuracy icon, add 1 Red die set to the Accuracy icon to your attack pool. I am admittedly not 100% sure what to make of this card. On one hand, it is a direct upgrade over H-9 Turbolasers in that it just gives you the accuracy, no additional cost involved. On the other hand, you need a way to get yourself a Red accuracy reliably, and 1/8th chance per dice is not that, no matter how many Red dice you roll or reroll. The obvious use of it seems to be for hunting ships with redundant tokens - the MC-80 Liberty, MC-30c, and Nebulon B all spring to mind, but it can be used to go after defense token heavy ships as well - the ISD, Interdictor, and Home One Class all have 4 tokens naturally, after all. But how do you get the Red accuracy? Well the most obvious answer is Home One. 1 accuracy guaranteed, and you pick the die. So, make sure you pick Red, and you double up. This won't work on Home One itself, so don't throw the Quads on that. But whatever is supported by Home One can get to locking out defense tokens. Probably best used with the Assault Frigate Mk II, MC-30c Torpedo Frigate or Liberty Class. But what if you don't bring Home One? Any other ways to get that Red accuracy? For the Imperials out there, and non-Home One Rebel fleets, there are two more options: H-9 Turbolasers will work with the MC-80 Liberty Class to turn one Red hit or critical into the necessary accuracy. But as it takes up a Turbolasers slot, it only works with the Liberty. The other option is to take a Sensor Team, which effectively turns 2 of your dice into Red Accuracy results. Spend one die (any color) to spin 1 Red into an Accuracy Result, and add a Red Accuracy Result. Same number of dice in your pool, just different results. This combination could be just the way to let your big gun Imperial lists or Assault Frigates deal with a Mothma lead fleet of CR90s and close quarter MC-30cs. After all, they can't evade if their evades are locked out! The drawback is this not only takes up a Turbolaser slot, but it also takes up a Weapon Team slot, not to mention 15 points of upgrades per ship. Spinal Armament - 9 points - Modification - The battery armaments of your front and rear hull zones are increased by 1 Red die. Finally, a battery armament modification that upgrades that boosts the front arc of your ship an isn't named Expanded Launchers. Again, this is probably not the card for the CR-90s and MC-30s of the world, but it does do some good work on other platforms. The ISD, VSD, Liberty-Class are obvious spots for its inclusion, and Salvation Nebulons are a no-brainer. But what about the broadsiders of the Rebel fleet? The Assault Frigates and MC-80 Home One Class? I did mention I like using them as double-arcing ships, right? Give Spinal Armament to an Assault Frigate MkII-A and it becomes as good in the front and rear arcs as on the side - give it Veteran Gunners and turn it loose! Give it to a Defiance MC80 Assault and it can toss 3 Red / 1 Blue / 1 Black from the front and get rerolls through Leading Shots, at medium range. Then hit with its better side arc. Those are some good double arc shots. Hopefully these upgrade articles have given you all something to think about. What else should I write about now that these are done? 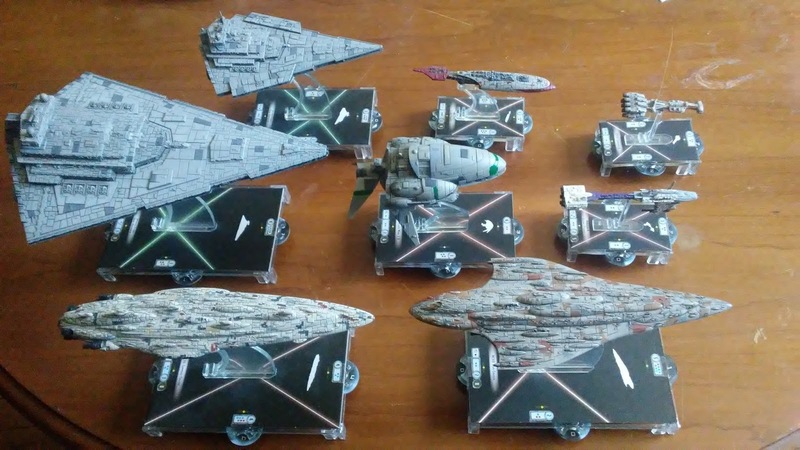 I am going to write about dice as part of Steel Squadron's goal to teach new players how some of the mechanics work, but I need other ideas too! 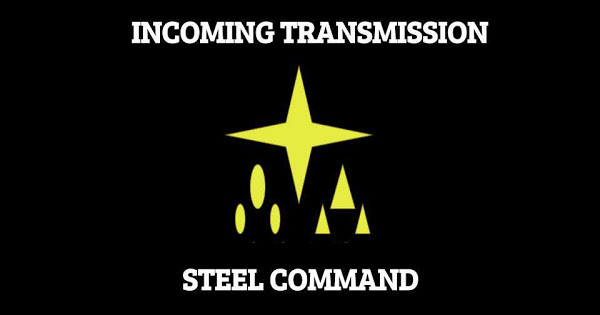 You should also like the Steel Squadron Facebook page, so you never miss another article! That's right, now Facebook is for more than just being stalked by that creepy 50 year old lady in HR. It's also about getting Steel Squadron articles delivered to your feed! Great article, but did you mean MC-30 Scout for the quads? Absent Akbar, the torpedo frigate lacks red dice to work with. Like your thinking on spinal armament - would be great on Salvation, or Defiance to aim for a double-arc. They could also work on a ISD/VSD that you want to keep at range in a carrier role, add Veteran Gunners or Vader to taste. In terms of articles, I have had a lot of fun with the Interdictor and the effect on the game. Some combined tactics articles on the new fleet archetypes / list building could be good. And I always love a good battle report that road tests the theory. Thanks for the great posts Biggs! It would be very useful to get your take on the major forces of the game and what you think make for decent counters. A mini-series covering Rhymerballs, Rieken Aces, Demo etc. would be brilliant please! Thanks for considering and happy gaming!